President Donald Trump studiously avoided the phrase “radical Islamic terrorism” in his speech at the Arab Islamic American Summit in Saudi Arabia on May 21. This elaboration of Trump’s “America First” approach to the world must have been welcomed by foreign policy realists. Realists would like it because it marks a turn away from the emphasis, or at least lip service, that the Barack Obama and George W. Bush administrations paid to things like human rights and democracy. 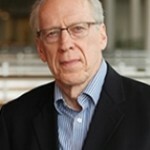 In my experience as a foreign policy expert and former U.S. ambassador, I have found that realists believe nationalism is still as much the driving force as it has been since the signing of the Treaty of Westphalia in 1648, which ended the 30 Years War and established a system of international relations based on nation-states. Under realist theory, every country tries to maximize its power in a zero-sum game because the international system lacks any supervision from any supranational entity. For realists, it’s always anarchy out there. Putting America first is just a recognition that every country puts itself first. Trump’s declaration of his America First approach was mirrored by Secretary of State Tillerson’s recent remarks to employees of the State Department. 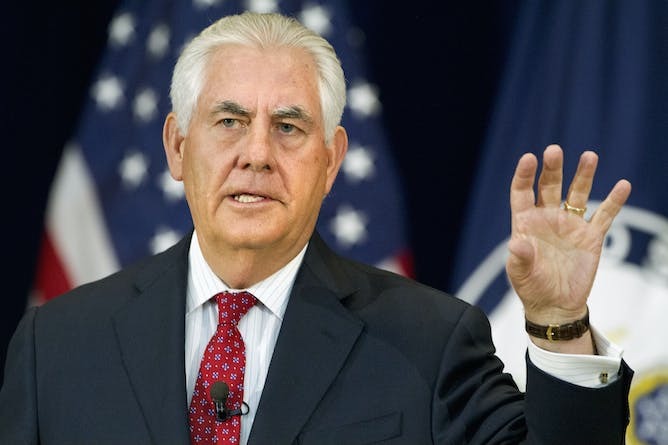 Tillerson stressed that the job of State Department employees is to promote American prosperity and security with little regard for the internal issues of other countries that are not related to those two goals. From these two speeches, it’s clear that our “shared interests and values” do not include things that could be divisive, like respect for human rights and democracy. The assembled leaders would likely have been pleased to hear that – most of them are autocrats, if not outright dictators. No official list of attendees was readily available, but a careful review of photos from the summit showed that about 55 nations were represented. Looking at where those countries fall on the rankings that the NGO Freedom House every year indicates why the audience was so receptive. In its annual report, Freedom House assigns a numerical grade to 195 countries and 14 territories based on their score on 25 indicators derived from the Universal Declaration of Human Rights. Their total grade, which ranges between zero and 100, puts them into one of three broad categories – free, partially free or not free. Nearly half of the countries represented at the summit are rated not free, 40 percent as partially free and only 9 percent free, based on rankings from Freedom House. Besides the United States, the only other nations at the summit categorized as free were Benin, Guyana, Senegal, Tunisia and Suriname. The U.S. was the most democratic country in the room, according to its Freedom House score of 89. None of the 27 countries in the world that rank higher than that were present. While considerable progress has been made in recent decades in terms of increasing respect for these rights and liberties, 2016 was not a good year to the Freedom House Report. It registered net declines in these values in 67 countries and improvement in only 36. With the policy Trump described, in my opinion, chances for a better year in 2017 are greatly diminished. Many in the crowd must have been enthusiastic about Trump’s speech because governments that have little respect for human rights don’t like democracy. In addition, autocrats prefer decision-making to be confined to a small elite since it improves the economic opportunities provided by corruption. They won’t have to worry about American criticism under the Trump doctrine, since all that matters to America now is jobs and fighting terrorism. The fact that democracy and respect for political rights and civil liberties is the best way to combat terrorism is something that doctrine fails to take into account. There was one other thing Trump has said repeatedly in the past that he did not say at the summit. He did not call the press “the enemy of the people.” But that was unnecessary, as nearly everyone in the audience probably already believes that. 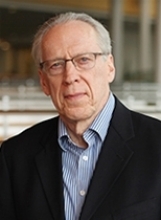 Dennis Jett, Professor of International Relations, Pennsylvania State University This article was originally published on The Conversation. Read the original article.